A garden structure is not just a wendy house. 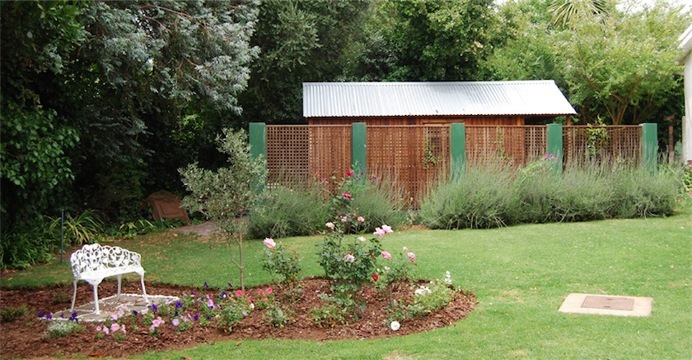 Garden structures such as sheds and wendy houses do not have to be unsightly. I am just going to post a few pictures of things in the garden including a wooden shed or two so that you can get a few good ideas. 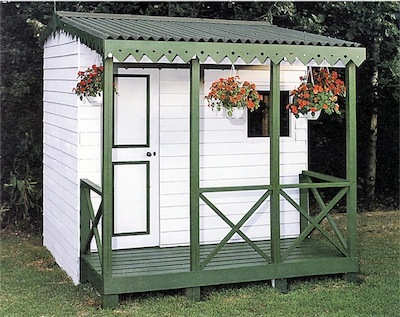 Here is a small wooden shed that I built for a step-by-step book on garden structures. Neat and pretty in green and white. I wish to put up some 1 and 2 bedroom wooden houses (Wendy houses) on the Bluff, Durban. Anyone have any info on contacts etc please? I would like to build a workshop (2m x 3m) with a table and all my tools (drill, saws, etc). Would I need plans for this? It will definitely have windows and a door, but not intended for human living. I just want a space to do my hobbies (carpentry, woodwork, etc). I’m in Sandton. on my side on the fence these screens measure 2.5m – do I need building plans for this ? Any form of wall or fence over 1.8 m requires plans. Hi, do one need any plans to put up a Wendy House in my Garden? Many people have mentioned that I need to get plans from Municipality, I am in Pietermaritzburg and it would be used for storage in my back garden. 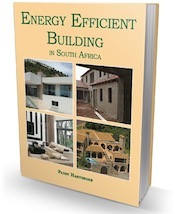 Hi Pauline, Most municipalities in SA only require a written notification that you intend to erect a garden shed that will be considered “minor building work” Do keep a record/or copy of the letter as proof that you complied with the bye-laws. I would like to know how much you charge for NHBRC Certificate and how long does it take for one to have it. Hoping for a speedy respond as I would love to start ASAP.